As a business discipline, CRM helps address the growing complexity of marketing and sales management teams while improving their competitiveness. However, the introduction of a CRM system requires a change in mindset on customer management across departments at an organizational level. The question is not whether to use CRM or not but how to plan a successful CRM implementation. Many organizations do not wish to commit to a CRM strategy on their own. Also, fear of failure is a significant issue for the delay or suspension of any IT system implementation and therefore, CRM is no exception. Statistics indicate that 55% to 75% of CRMs are rejected due to lack of user acceptance. Identifying the most common causes of CRM implementation challenges will allow you to be on your guard and try to tackle this investment with the right care. Through this blog, we aim to provide some tips that can help businesses to overcome the implementation failure. Implementing the CRM system is a tricky process. It enables the use of appropriate information technologies to coordinate sales, marketing activities, and services, and to enhance customer experience. Therefore, the challenges of crm could vary ranging from the wrong choice of the tool, technological barriers, the inability to adapt to the current needs of the organization, and the unskillful process of implementing the system in the organization. It poses a challenge both for CRM users – individuals and organizations, seeking change in their approach and process implementation. 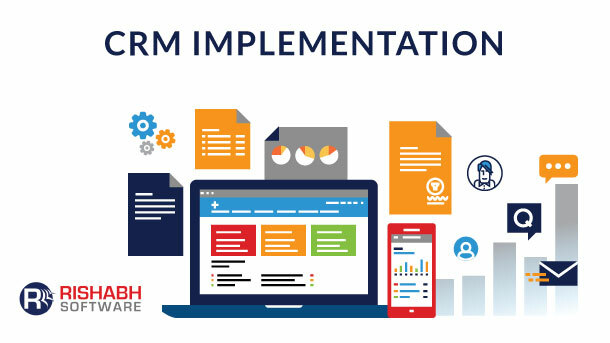 Read-on as we discuss some of the points that will help ensure the success for CRM implementation process. It is a paramount factor for CRM applications to be closely linked to both the business objectives and processes. Before proceeding, it is vital to take stock of strategies, including short-term and long-term goals while addressing the organizational needs. As it will offer, a better idea to define the scope of features required in the CRM. Thus, aligning the CRM focus with your company strategy can help avoid CRM implementation challenges. At this stage, it is essential to note the system’s functionality on whether CRM needs meet the company requirements for now and future. Also, it is crucial to assess its compatibility with the existing applications within the company. It is also important to gauge the scope of post-implementation service scenario. 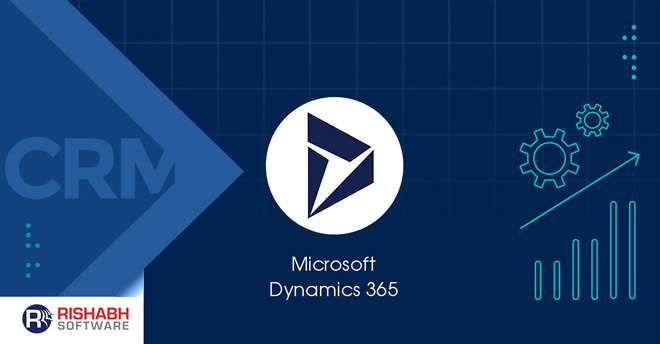 Streamline Sales Process Learn how we helped a client with a successful CRM implementation using Dynamics 365. The level of acceptance for the CRM tool and its use in the organization defines its concrete implementation. However, any new system experiences resistance from users. Below are some of the points that will help outline the benefits of the CRM system. Communicate why CRM is so essential, sharing with them the specific benefits it offers, such as saving time or increase in sales. Develop and offer a rewards program for the effective use of the system and apply penalties for its misuse. Use the CRM reporting function to help employees see how their actions directly influence customer satisfaction and their overall performance. Implementation of a central CRM system also involves migrating or integrating the existing software and information systems. The lack of support from the vendor staff of the existing methods for CRM integration will result in a massive burden for the company. As a result, it may consume hours of productive work time for the staff without possible outcomes. Therefore, a planned approach to CRM project by considering future needs will help avoid the implementation overkill. Even the best of CRM systems will not be helpful if users are not able to use it effectively. Thus, it is imperative that the users are well trained because the success of the CRM implementation process depends mostly on this aspect. Further, it is necessary to include the type of users for the training. It includes regular users, management and administration teams for the program. It is vital to evaluate business objectives, strategy, budgets, and customization needs before choosing a CRM solution. As part of this, it is essential to ensure you have the right partner by your side. They will help avoid problems with CRM implementation. The partner must offer consultation with future insights. They must advise on how to address and eradicate potential risks and challenges for the possible CRM system. To conclude, CRM helps simplify your business processes and optimize efficiency. However, it is inappropriately choice or poor adaption, as discussed above could lead to chaos. 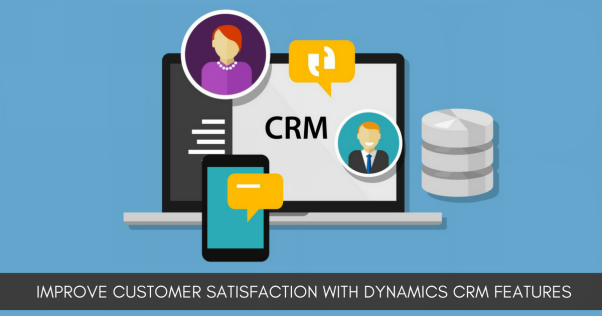 As an experienced Dynamics CRM development company, Rishabh Software helps organizations to overcome the challenges in CRM implementation by leveraging the benefits of this tool. Our experts also help global enterprises customize and integrate Dynamics CRM. It is with their existing enterprise applications. We are the CRM Partners of choice to help manage customer relationship management lifecycle and making informed business decisions. How To Avoid These Common CRM Implementation Mistakes?